~ a great way to try something new! 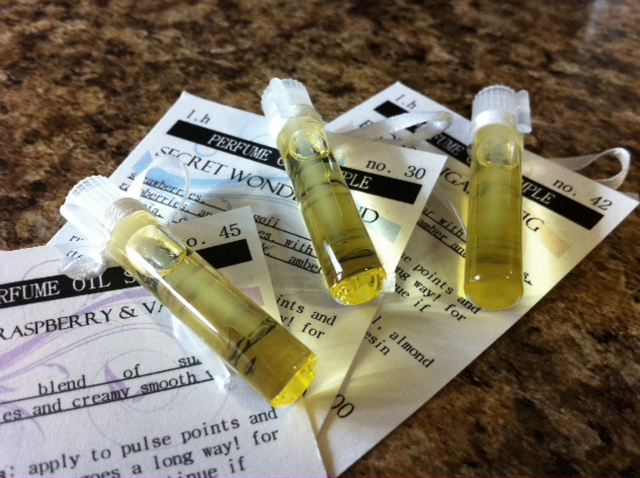 This is your chance to try out the luxurious perfume oil. Maybe there is a fragrance you want to test before committing to a bottle? Or maybe you just want to test how intense the perfume is? Whatever your reason, you can either enter a fragrance that you've been curious about in the shopping cart text area, or leave the text field blank for a random sample fragrance. Not sure which of the many soaps you want to try? These soap slices could be your answer ~ made up of 4 miscellaneous soaps either from the catalog or the curing rack. Each slice is good for several hand washes. Or, you can use it in the shower for a day or two!